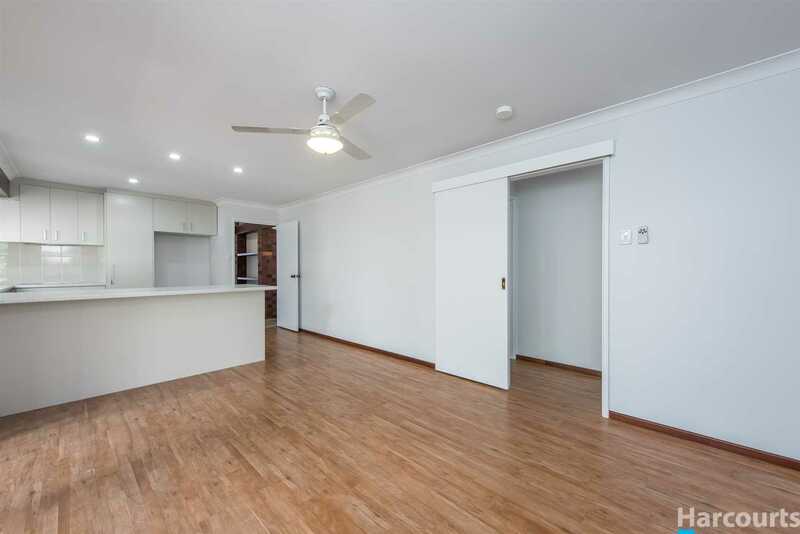 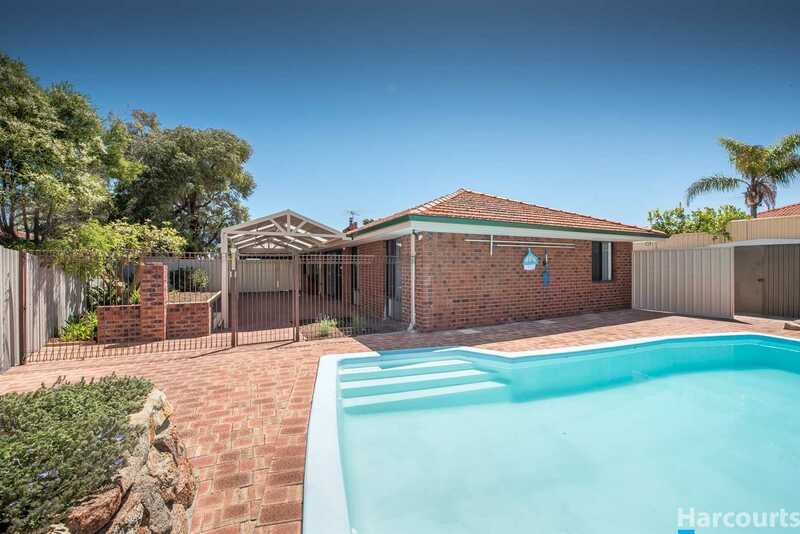 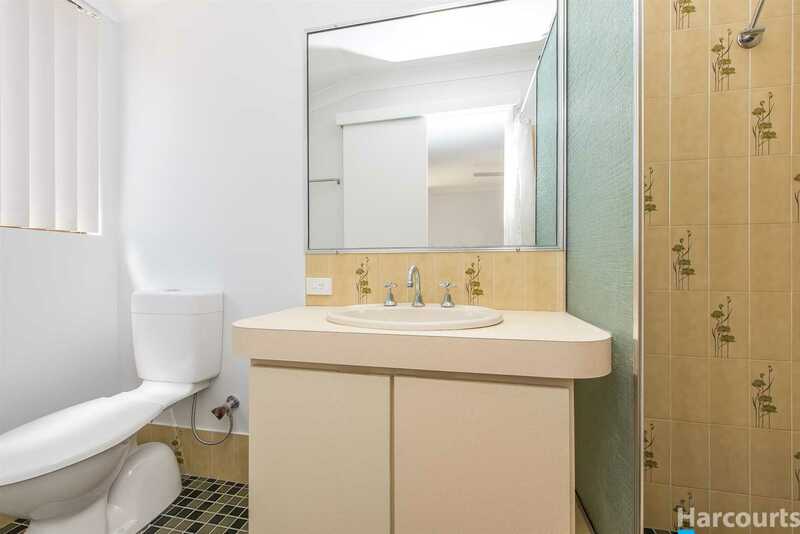 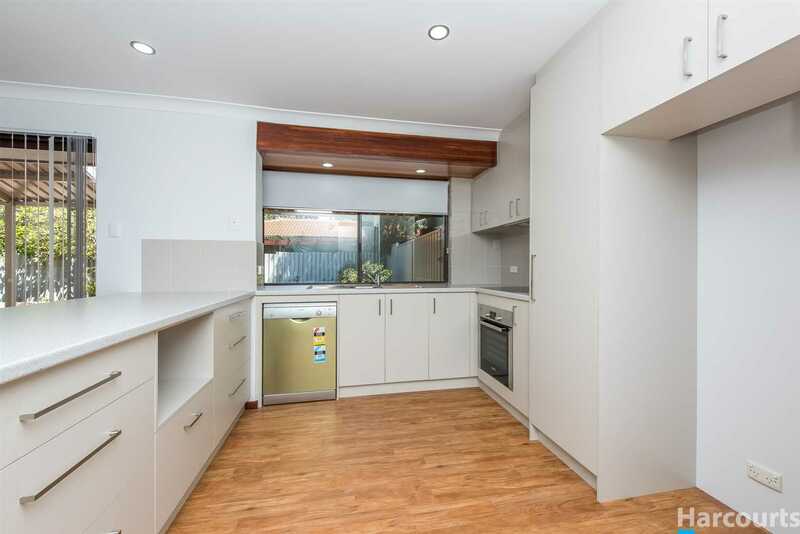 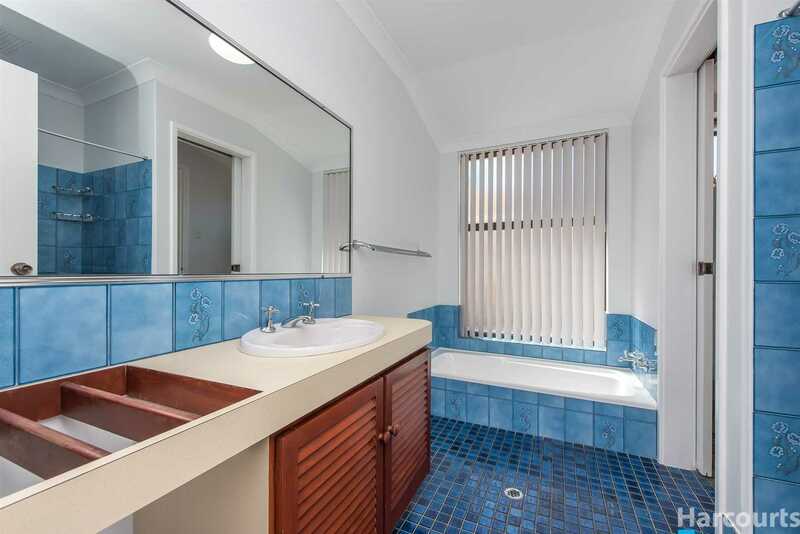 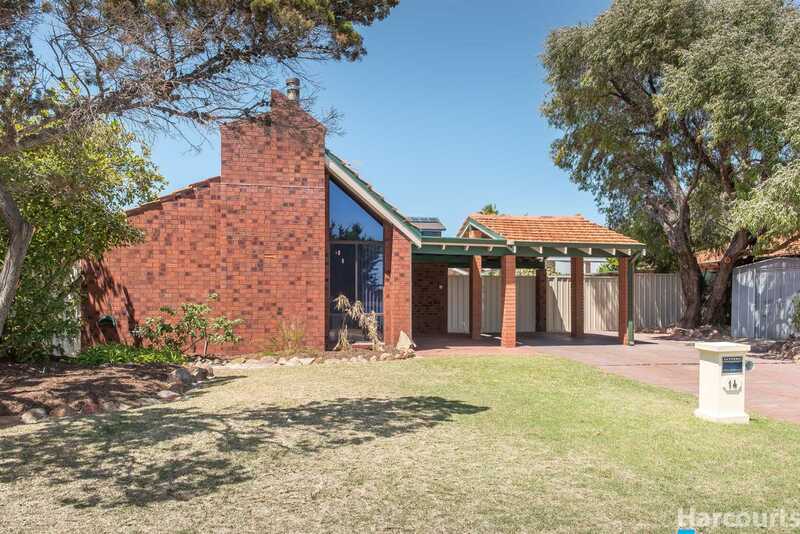 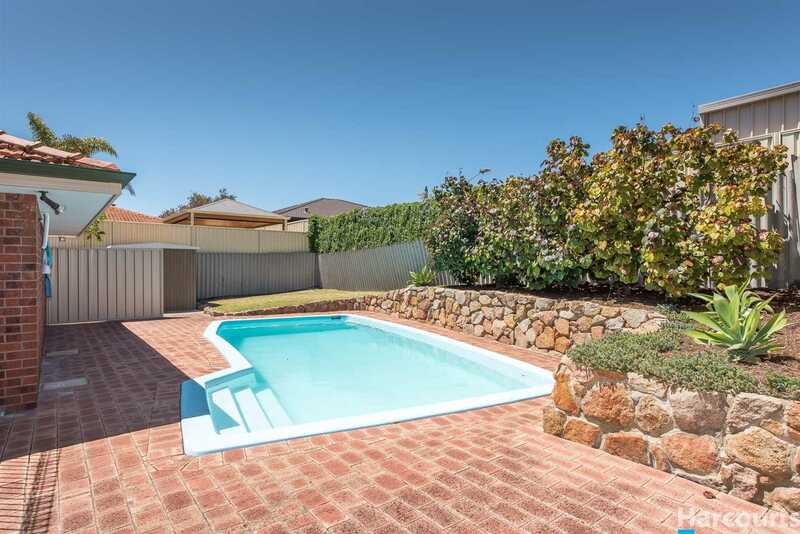 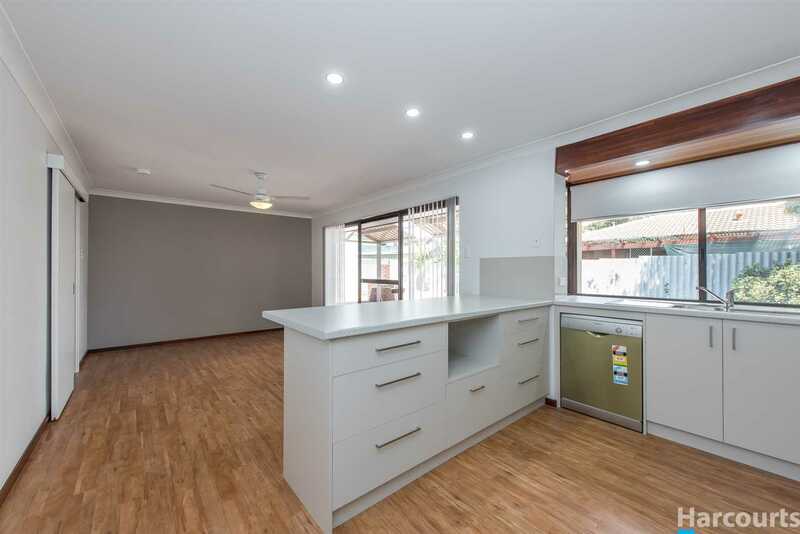 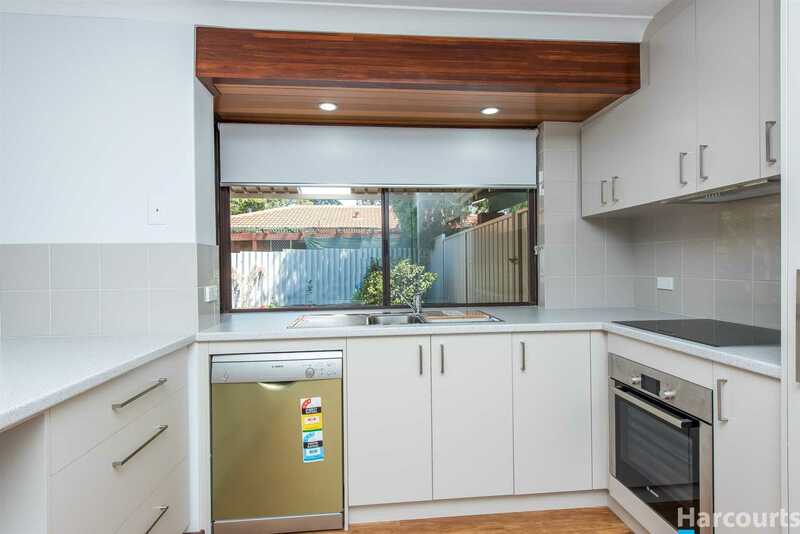 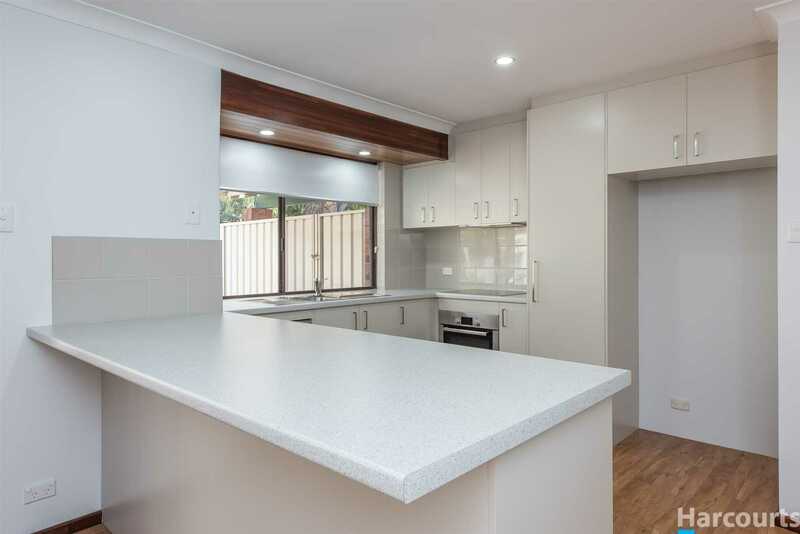 This immaculate 4 bedroom 2 bathroom home has a fully renovated kitchen as well as brand new flooring throughout the home, all freshly painted, all new LED lighting and presents without fault as one of the most pristine homes in Mullaloo. 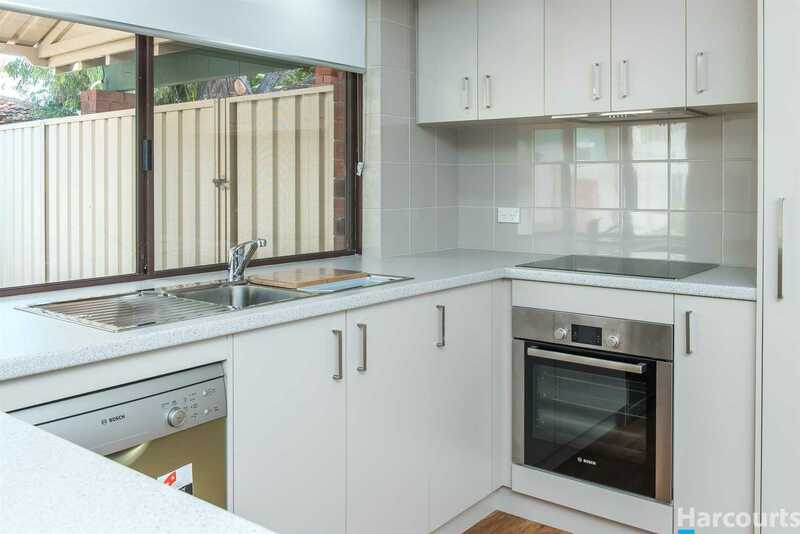 The kitchen has been fitted with brand new quality appliances including the cooktop, oven, dishwasher and built in range hood. 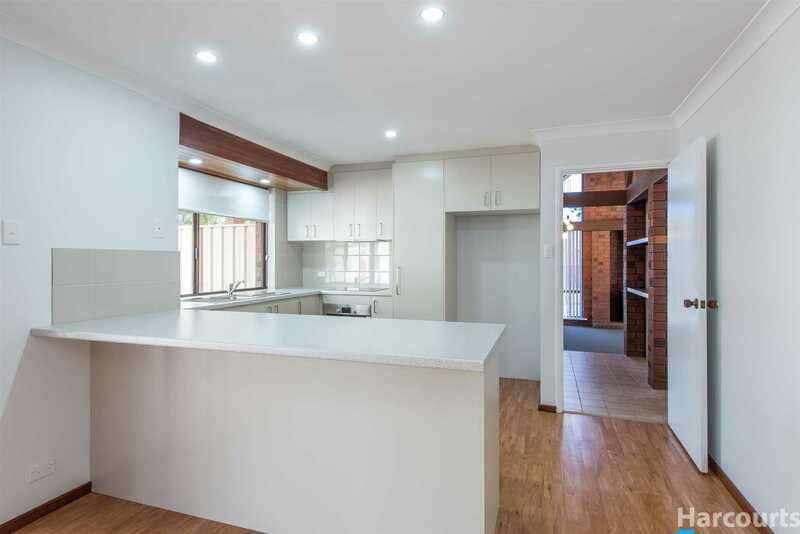 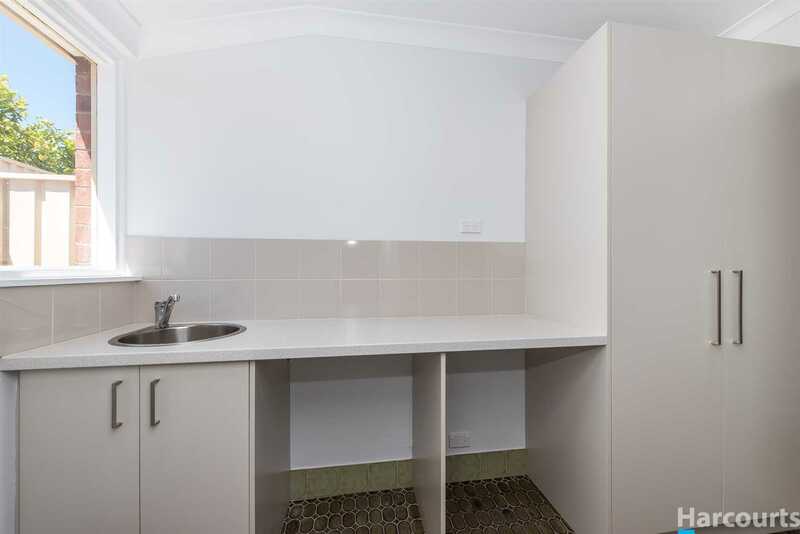 Loads of cupboards and bench space as well as a long breakfast bar perfect for the kiddies or friends to gather around. 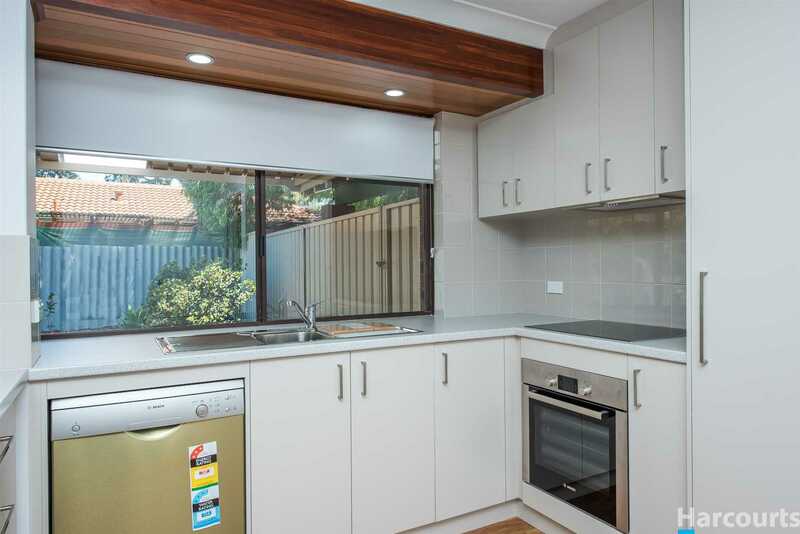 The kitchen overlooks the casual living area and opens out to the new pitched patio and fully fenced below ground pool. 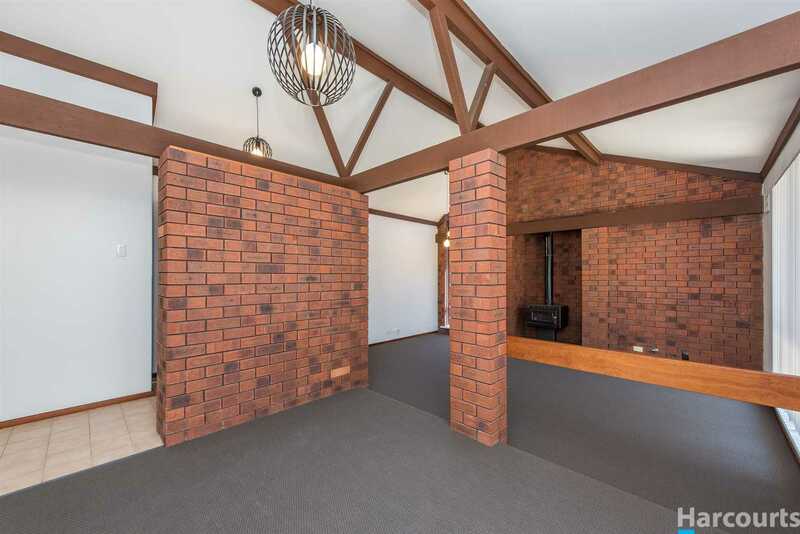 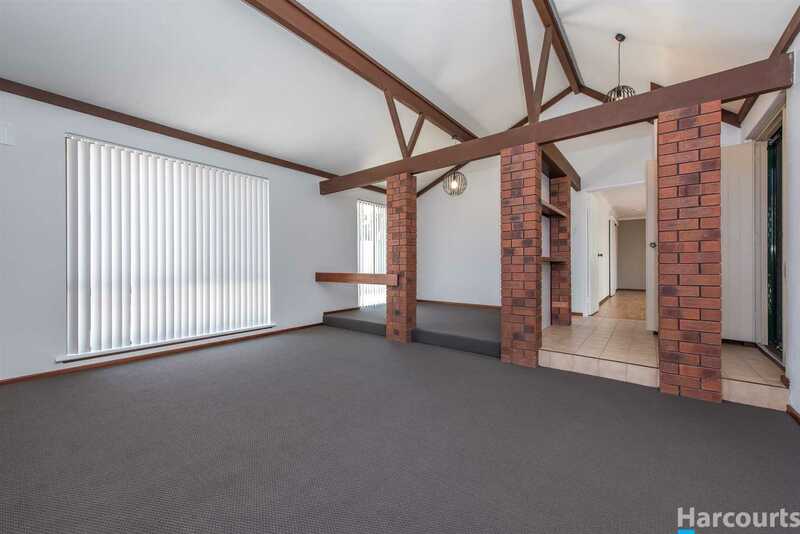 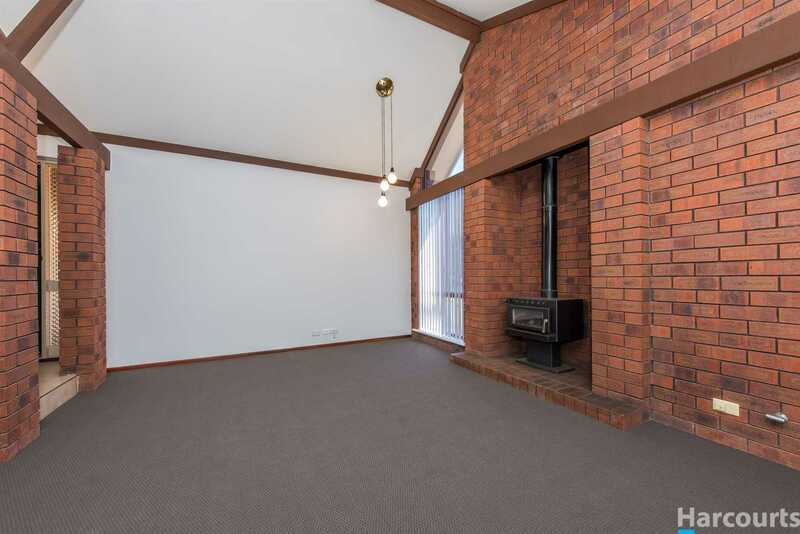 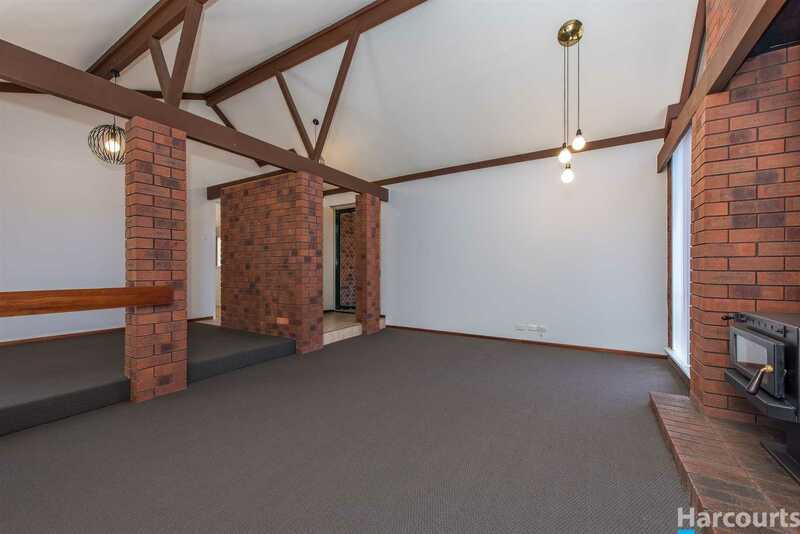 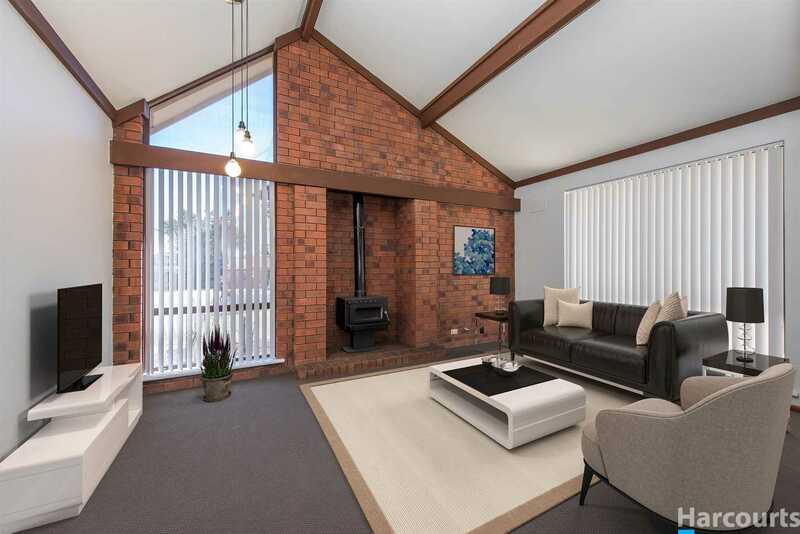 At the front of the home is the formal lounge and dining room, with new carpet and blinds, raked ceilings and cosy wood fire. 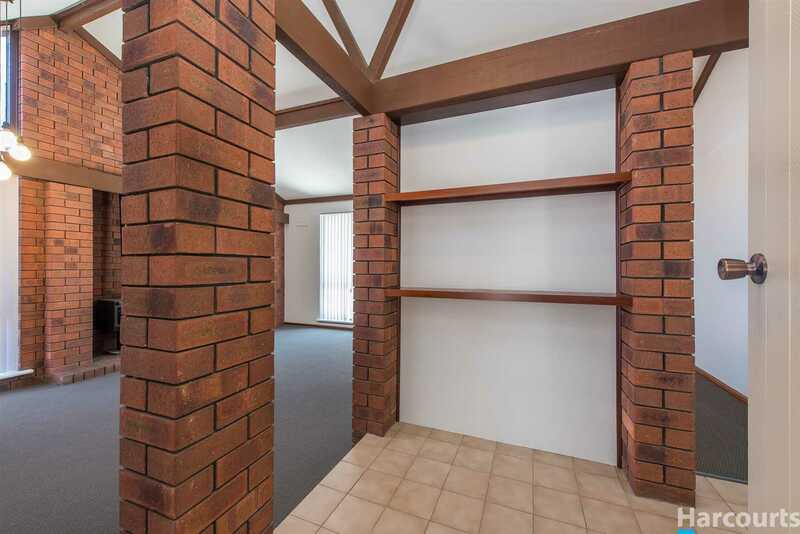 All 4 bedrooms are at the back of the home, all are generous in size and 3 have built in robes. 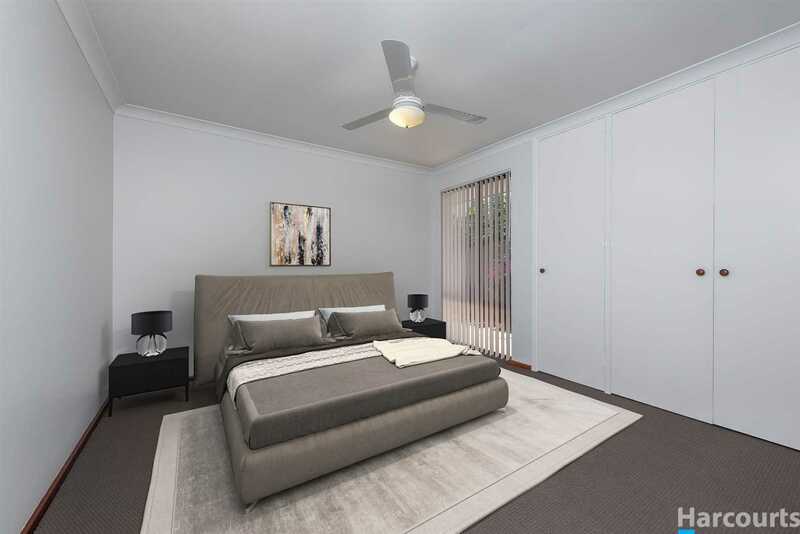 The very large master bedroom has an attached ensuite bathroom whilst the 3 secondary bedrooms share the main bathroom which has a two way toilet from the laundry - a perfect set up for easy access from the pool. 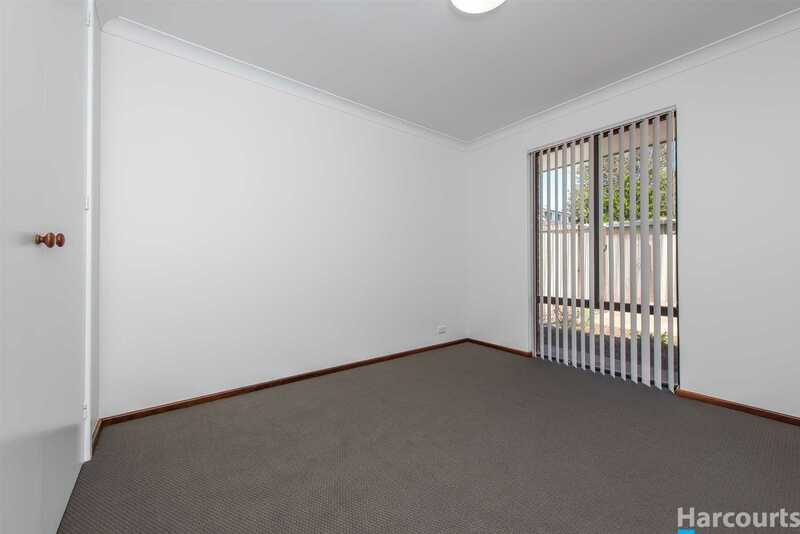 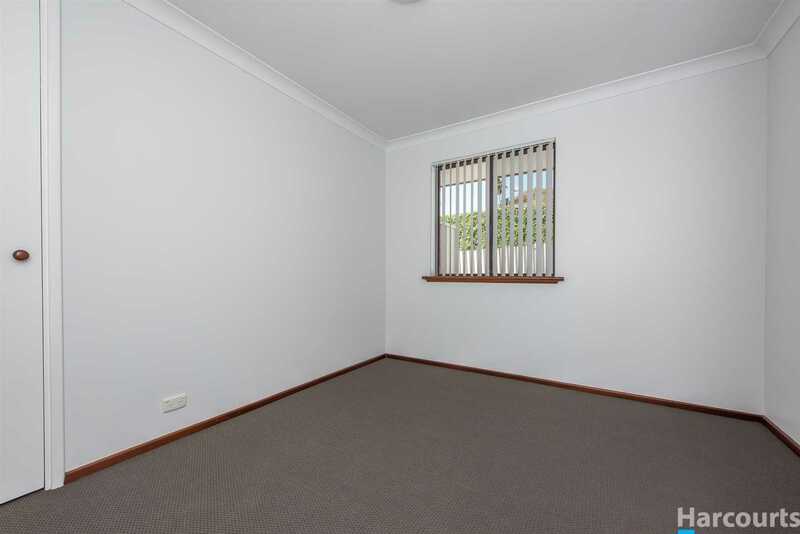 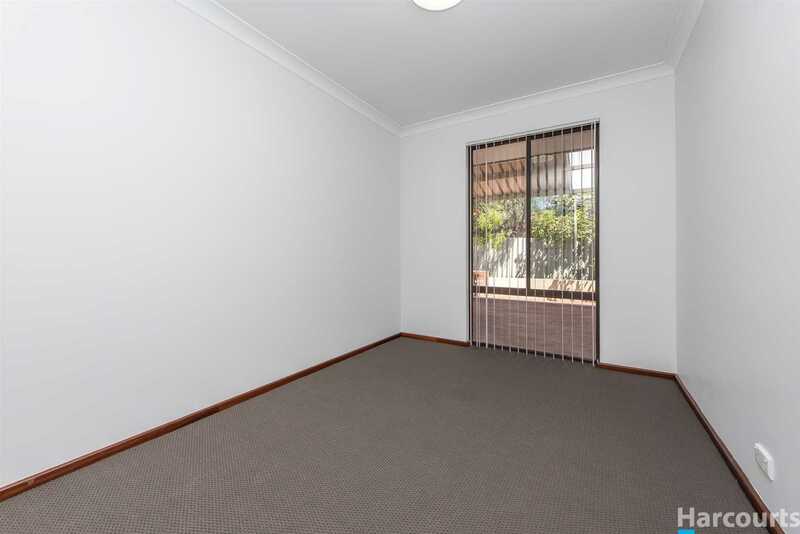 All the bedrooms have new carpets and blinds. 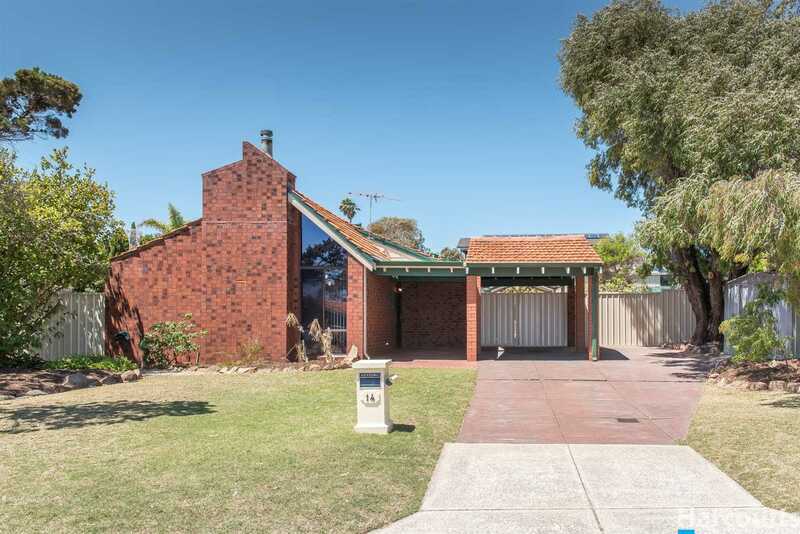 A great streetscape with the lush lawns and easy care garden beds. 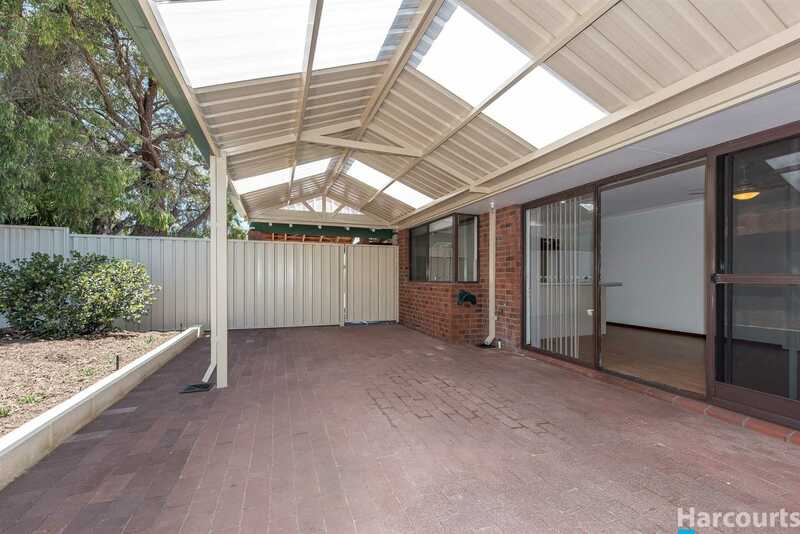 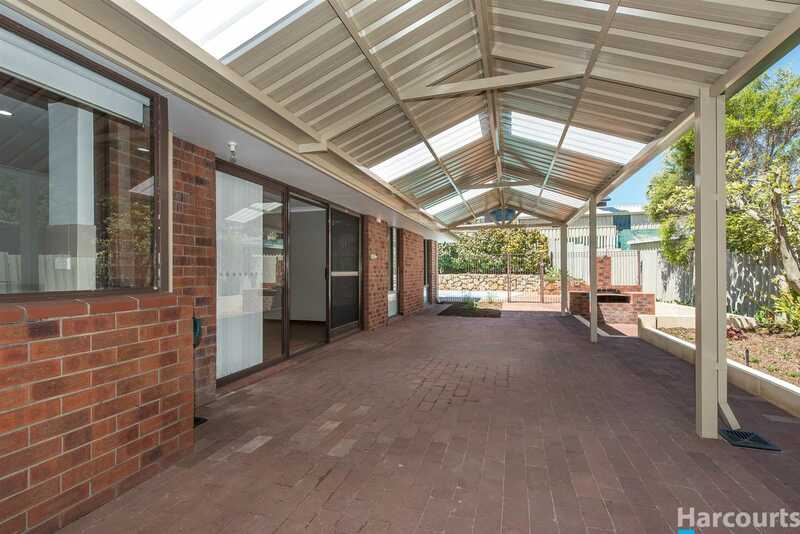 Plenty of parking at the front of the home with the single carport and a second pad next to this for another car. 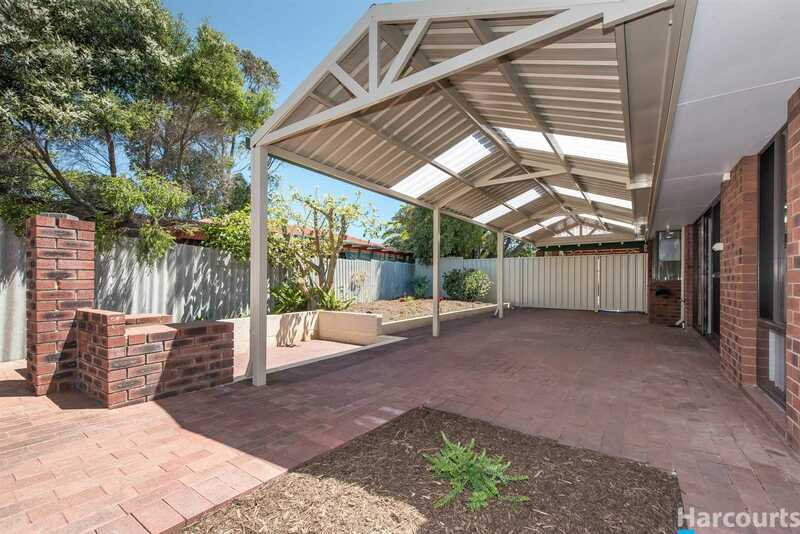 With some further adjustment to the garden, a boat or caravan can be easily housed on either side of the house. 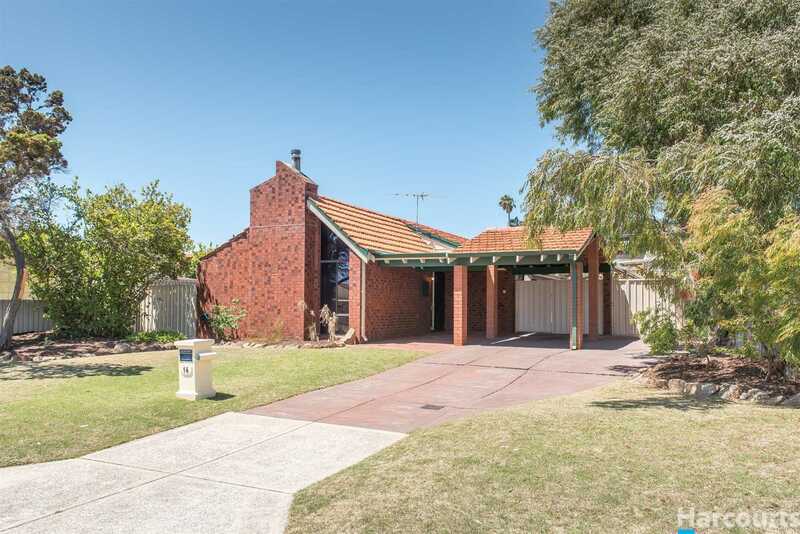 There is currently space to park a further 2 vehicles on the driveway. 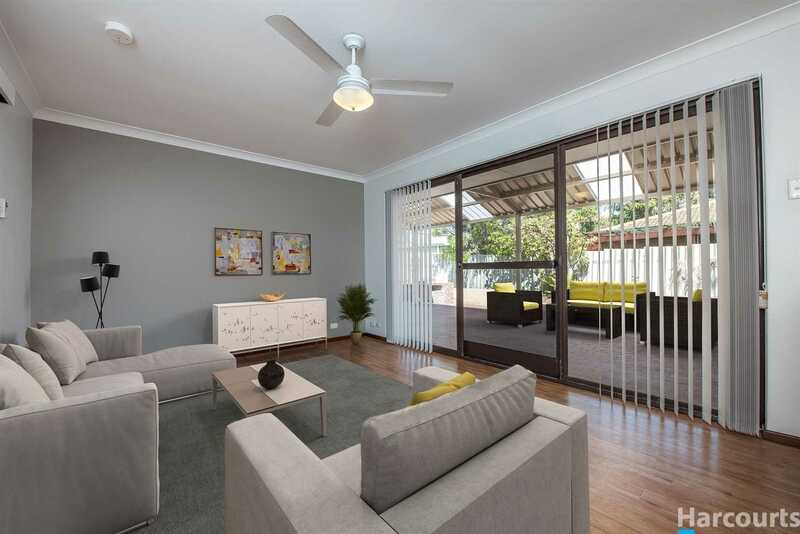 Easy access from the driveway through new colour bond fencing to the entertainment area make the home perfect for entertaining and for friends and family to come and go. 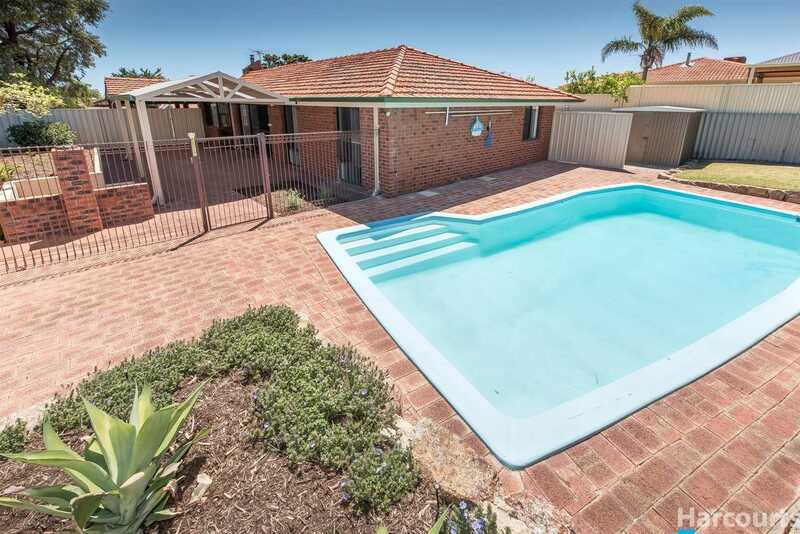 The fully fenced salt water pool comes complete with a kreepy krawly cleaner, brand new filter, new salt cell in 2017 and plenty of fun times for everyone. 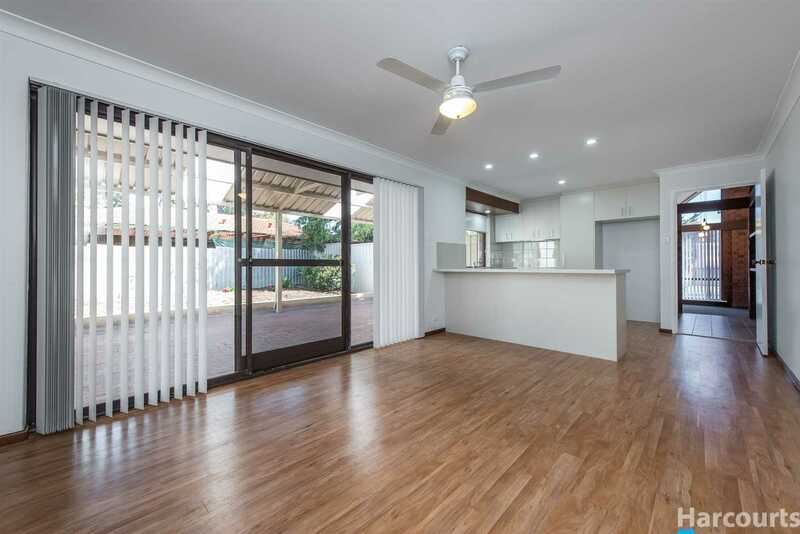 This immaculate home is ready to move straight in to enjoy this fantastic central location that is ideal for a family wanting to get into this sought after suburb. 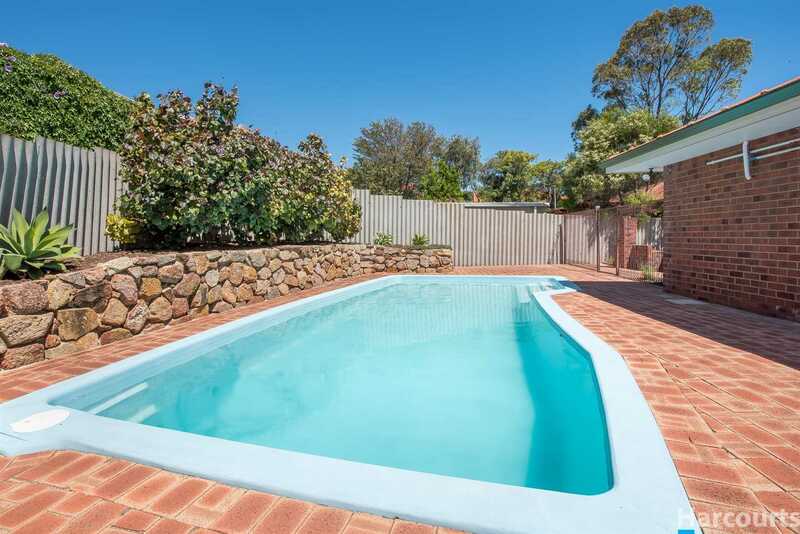 With a location like this being so close to everything and even a walk to the beach this home is very competitive in this ocean side suburb.